Want a small inexpensive red ribbon but don't want a metal lapel pin or hand made ribbon with a safety pin? This might be your solution. Buy these Red Cause Awareness Ribbon Embroidered Stick ons. This embroidered awareness ribbon sticker is an excellent item for promoting "red" cause awareness and education. The self-adhesive "stick-on" backing enables you to place this applique on name badges, shirts, jackets, uniforms, bags, helmets and backpacks. The appliques are a terrific give-away at health fairs, conventions, breast cancer walks, funerals, and especially fundraisers. Each sheet has 25 peel off red ribbons, each individual ribbon is 3/4" x 1 1/4". That works out to 40 cents each or less in quantity. 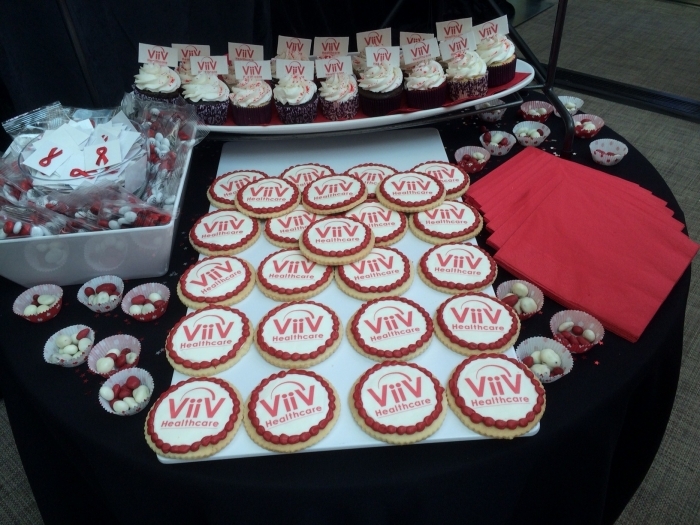 Everyone loved the embroidered stick-on red ribbons. Easy and not having to stick hole in your clothes with the pins. Plus, it's easy and reuseable. Easy to use and the sticker last long attached to fabric.